Prior to its October return off-Broadway, Harvey Fierstein's Tony Award-winning play, "Torch Song Trilogy," had not been performed in New York City on or off-Broadway since its initial run in the early '80s. Its resurrection, however, has been attributed, in part, to Fierstein's team identifying a new successor whom they deemed worthy enough to lead the cast. Actor Michael Urie was hand selected by Fierstein’s manager, as well as director Moisés Kaufman ("The Laramie Project"), to star in the play's first revival on or off-Broadway in 35 years — and its first revival with Fierstein's direct involvement. "Torch Song Trilogy," perhaps ahead of its time when it debuted on Broadway in 1982, is a theater experience about coming out, finding identity in your sexuality and raising a gay child. The resurrected production opened on October 19 at Second Stage's Tony Kiser Theater and is scheduled to run until Dec. 9. Michael Urie is starring in the first reboot of Harvey Fierstein's off-Braodway production of "TORCH SONG TRILOGY. "Polk &amp; Co.
Urie plays Arnold Beckoff, a character written and originally performed by Fierstein to illustrate his own coming out and coming of age story. 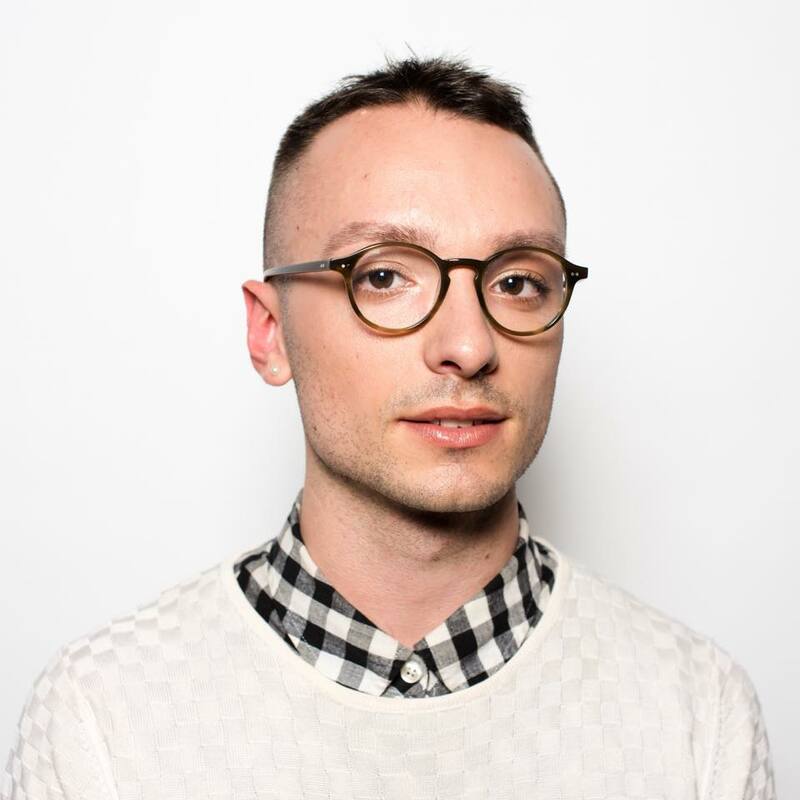 Beckoff, a New York City drag queen, navigates coming out to his mother, introducing his adopted child to her and raising a gay son. Fierstein won a Tony Award in 1983 for his portrayal of Beckoff. "They said they were waiting for the right someone to come along, but I think also they needed to get away from original production," Urie said of the team's decision to cast him "The play is pre-AIDS crisis, and it is really about a time when gay people were not considered 'real.' They were even less than human." "The idea that Harvey wrote a play in the late '70s about a guy who essentially wants to be a husband and father was like science fiction," Urie added. "Now it is one of the most normal parts of the play." In addition to Urie, "Torch Song Trilogy" also stars Academy Award- and Tony Award-winner Mercedes Ruehl, who plays Arnold Beckoff's mother. 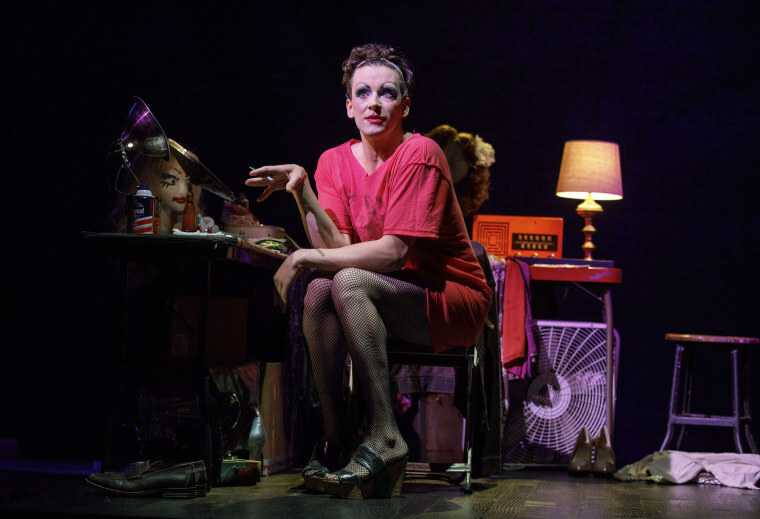 Ward Horteon as Ed, Jack DiFalco as David, Michael Urie as Arnold Beckoff, Mercedes Ruehl as his mother in "TORCH SONG TRILOGY" by Harvey Fierstein. "The fact that he has a kid shocked an audience in the 1980s, and now it is totally normal to a theater crowd," Urie said. "Now, when Arnold's mother says those horrible things, the audience is shocked. It's amazing how the themes of the play haven't changed, but the way people experience it has changed so much after more than 30 years." Urie said he hopes "Torch Song Trilogy" and its themes of love, family and identity, help bring people together in a time of political polarization and shakeups in the world of media and entertainment, a world Urie knows well. "This play very much speaks to straight people, to women, to men, and all people," Urie said, "This play is for people who are not the majority, people who are the majority as well. It is part of what makes the play so relevant."